Reactions let users rate an article. 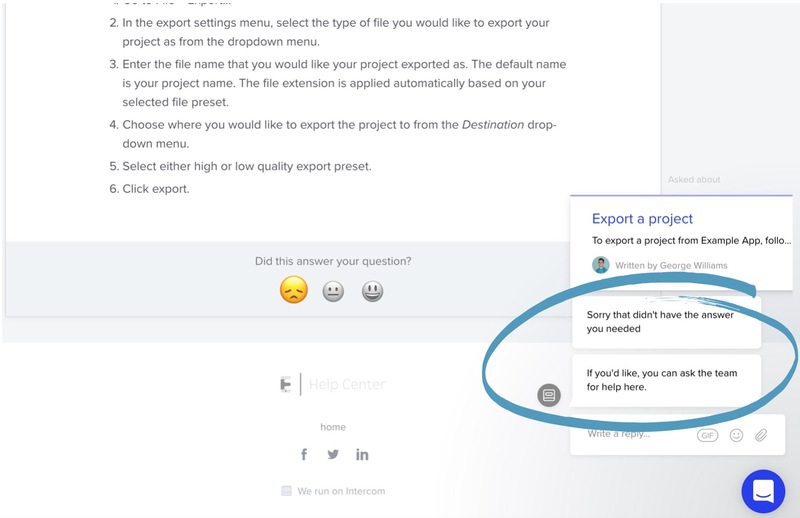 When a customer reacts negatively to an article, we immediately send an automatic reply, which opens up the conversation and gives you a second chance to resolve their problem. 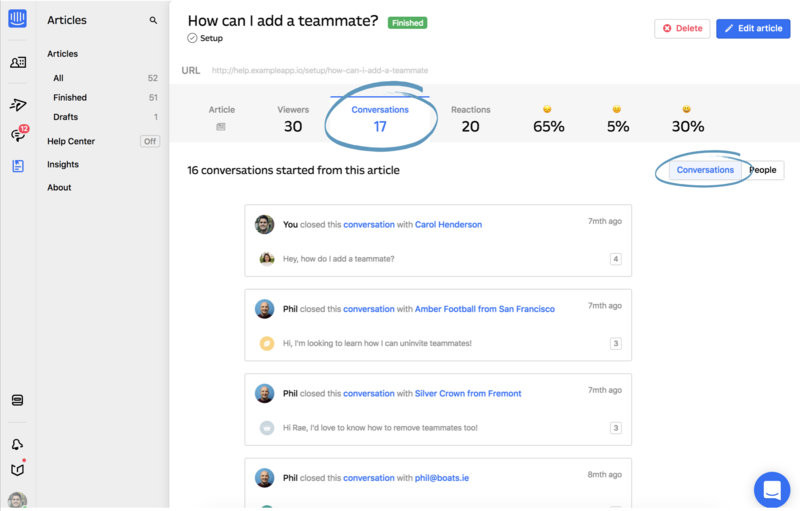 Your team can then make quick changes to the article based on this feedback. 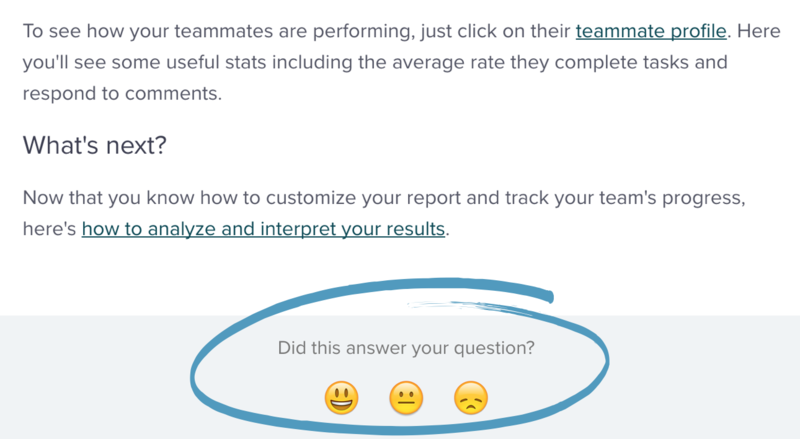 Once a customer finishes reading your article, they can let you know whether it answered their question by reacting with a happy, neutral or disappointed face. Your team can then resolve the issue and make quick changes to the article based on this feedback. This will reduce further disappointment and result in more 😀 customers. To understand how your customers feel about any article, just click it to see how many and which customers reacted positively or negatively. Note: From here, you can also see how many people viewed the article, the number of conversations your customers have started from it and the actual conversations themselves. You should prioritize improving high traffic articles that get lots of negative reactions and conversations. If a high percentage of customers were disappointed with an article we recommend looking carefully at the conversations the article triggered. Just click the ‘Conversations’ stat, then the ‘Conversations’ tab beneath it. Next, you should go ahead and check out your Articles Insights page to see how your content is performing, and how to improve it.